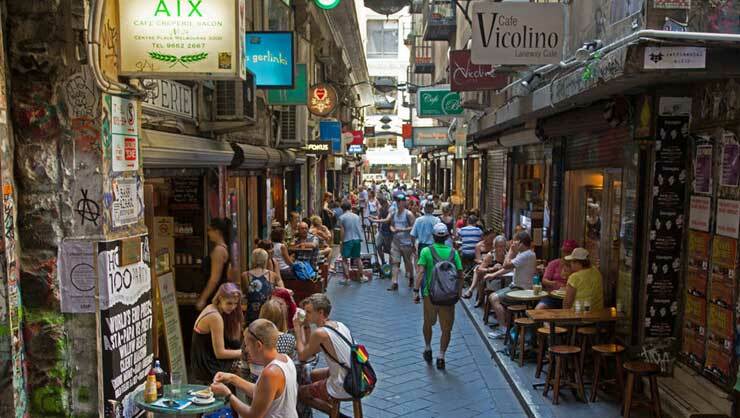 Take a stroll along Cafe Laneway in Melbourne Central Business District (CBD). If setting out on your InterExchange Work & Travel Australia adventure makes you a little nervous – not to worry! We offer a great Welcome Week package to show you Melbourne's most famous sights and get you started with making new friends and travel buddies. In addition to the thorough support provided by our partners in Australia for the duration of your program, you'll receive seven nights accommodation (instead of three), social activities, a bit of travel, and an orientation where you'll get set up with your bank account, SIM card, taxpayer number, and more. If Melbourne is your arrival city into Australia, here's what we’ve got in store if you opt for the Welcome Week. Arrive in Melbourne and catch the included shuttle service into the city, where you’ll have seven nights pre-booked on your behalf at Greenhouse Backpackers hostel. This day is free for you to recover from jetlag or get started on your job and housing hunt. You can also stop by our partner’s office at 423 Bourke Street to chat with the staff and use the wifi. Day 2 starts off with your orientation in the morning, when you’ll learn more about living, traveling, and working in Oz, as well as finalizing your bank account and receiving your Australian SIM card. After taking the afternoon to rest up, join your new mates for a pub crawl through the city and get to know each other over drinks. 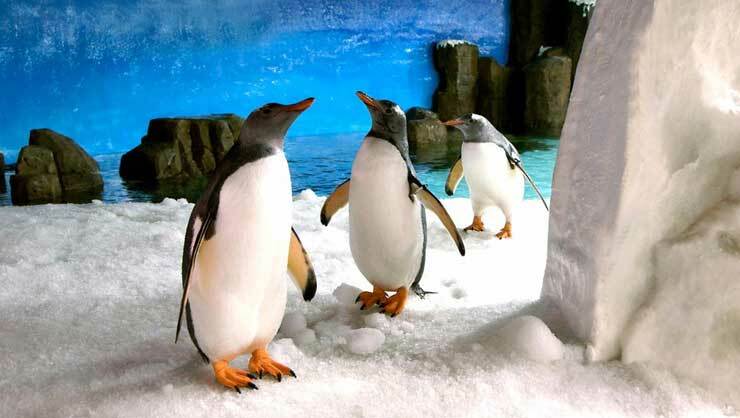 You'll see King and Gentoo penguins at the Melbourne Aquarium. First, you’ll check out the Eureka Skydeck and enjoy views of the entire city, including landmarks like the MCG Stadium and the Yarra River. After you make your way down, hop on over to the Melbourne Aquarium for some chill time with the marine animals of Australia. Your trusty and knowledgeable guides will lead you on a tour of Melbourne, learning about the rich history of the city as well as its dynamic contributions to the modern world. Take a relaxing and beautiful drive on the Great Ocean Road. Today you will tackle a Melbourne must-do! 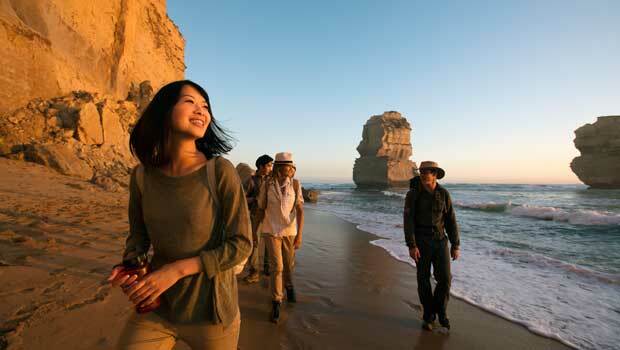 Board a bus to drive the Great Ocean Road, home of the famous Twelve Apostles rock formation. You’ll have plenty of opportunities to get out, enjoy the fresh sea air, and take as many photos as your heart desires. Take to the streets on two wheels on a guided bike tour through the city. Perhaps you’ll even get a chance to experience the famous Melbourne weather, where it can shift between all four seasons within a day. After cruising through town, head out for another night of bonding over drinks with your travel mates. Relax and soak up the sun at St. Kilda Beach. 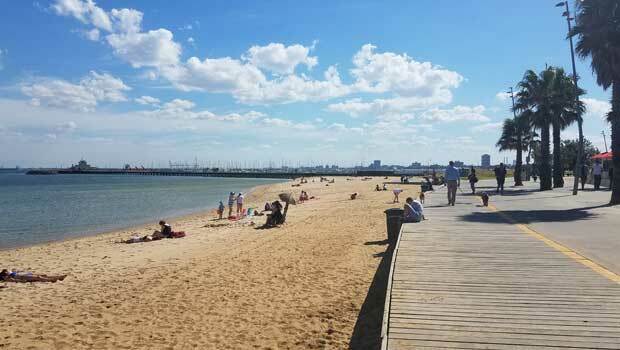 End your Welcome Week with a barbecue at St. Kilda Beach, the most easily accessible beach in Melbourne (just a short tram ride from the city center). Hang out with friends, trade photos, and perhaps make future travel plans together. After the Welcome Week ends, you’ll surely have forged new relationships and you’ll be feeling more adjusted and confident about the city and the country. From here on out, take advantage of the support provided by Work and Travel Company and get started working and traveling in the Land Down Under! Don't see the start date you're looking for? It's all good! You can arrive on just about any date through the year on our standard program and we'll suggest other welcome activities you can join. If you're open to Sydney, you can also check out our Sydney Welcome Week start dates. Melissa started traveling from a very young age. She has traveled to Spain and Ghana before moving to Japan for 3 years. 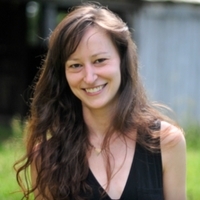 She now lives in the almost-foreign country of New York City, and is the Program Advisor and Coordinator for Working Abroad programs. Work, travel and make friends during the adventure of a lifetime in Australia! The InterExchange Work & Travel Australia program is a once-in-a-lifetime opportunity to travel Australia open-endedly for up to a year. Your visa will allow you to take on short-term jobs to fund your travels. This is ideal for independent adventure-seekers looking to pick up jobs in an office, restaurant, or out in the great outdoors!